LAS VEGAS (AP) — A New Jersey man with a degree in accounting is this year’s World Series of Poker champion. Scott Blumstein won the series’ marquee no-limit Texas Hold ’em main event early Sunday in Las Vegas surrounded by dozens of supporters including relatives and college friends. 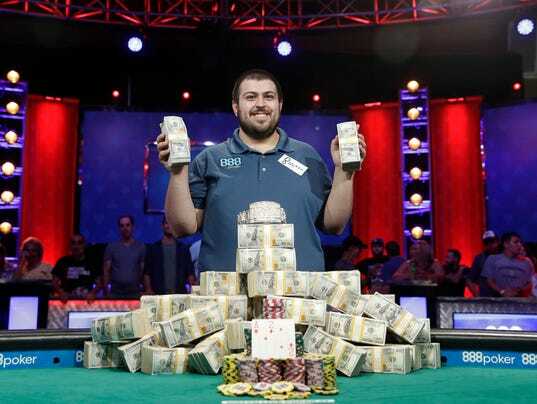 He is now more than $8.1 million richer after eliminating Pennsylvania’s Daniel Ott on the 246th hand of the final table, more than 60 hands with just the two of them with bricks of bills and a gold bracelet separating them.